RALEIGH (WTVD) — The man behind the North Hills development is about to start a major project in Raleigh. John Kane, Chairman and CEO of Kane Realty Corp. said the Warehouse District in downtown Raleigh is about to explode. 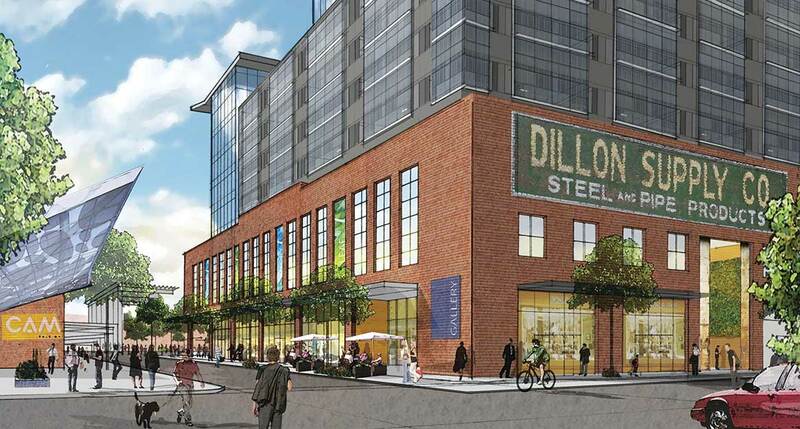 Kane is planning to build modern towers up to 20 stories near the old Dillon Supply warehouse, which runs the entire block off South West Street between Hargett Street and Martin Street. “The warehouse district has its own kind of feel to it and we certainly want to respect that and fit in well,” Kane said. He said he wants to keep some of the brick walls. He plans to turn the area into a place to live, work, and play. “You’d have an office tower on this end, and then you’d have a parking deck in the middle and then a residential tower on the far end and then street level retail,” Kane commented. Kane is credited with completely remodeling the North Hills area of Raleigh. The new Citrix building was just constructed in downtown Raleigh, and there are plans for a proposed $70 million transit station. Kane said he hopes to close on the deal by summer of 2015.